We are now at 63.5 degrees south. Early start this morning for our first landing in Antarctica! 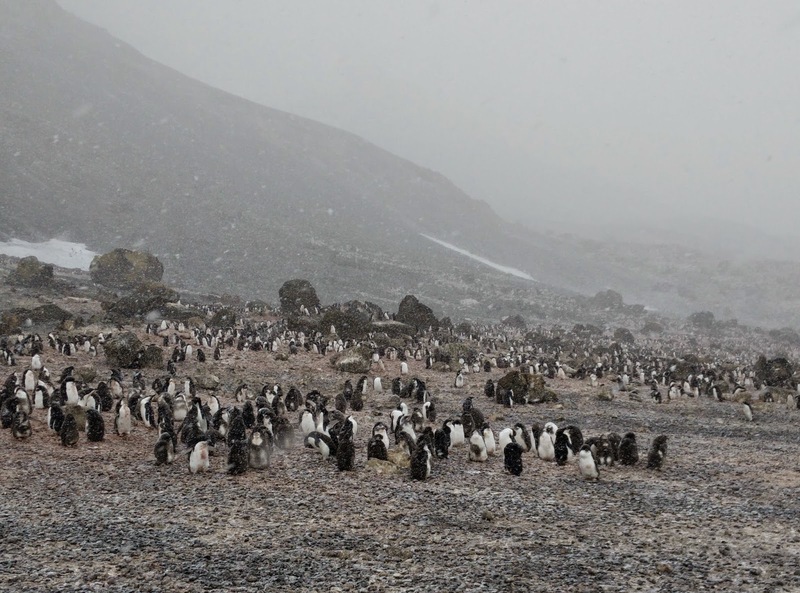 Gourdin Island is the location and home to three species of penguin, Adelie, Gentoo and Chinstrap. Breakfast at 7am and then we are on the zodiacs and making our way to the island. It's a beautiful sunny morning, just perfect for our first landing. We spend about 3 hours there moving between the different colonies observing the day to day life of these hardy little birds. Happy feet fans will be glad to hear the location is full of little furry chicks, some with their parents, others in crèche groups being watched over by other adult penguins while their parents are out feeding in the surrounding waters. But of course this is not a cartoon! Reality soon kicks in as we observe a Skua attacking a young Gentoo chick, knocking it from a ledge and then killing it! It's tough to watch but that's life in the wild. Back to the ship for some lunch. Half way through dessert and a call goes out "Orcas"! Bodies run by on the deck outside, pointing towards the bow the ship. There's a mad clamour as people run for cameras and jackets and make their way towards the bow. A pod of a least 6 Orca are feeding just 50 metres off the port side. The cameras are clicking all around as we watch these magnificent creatures gracefully porpoising through the waters. 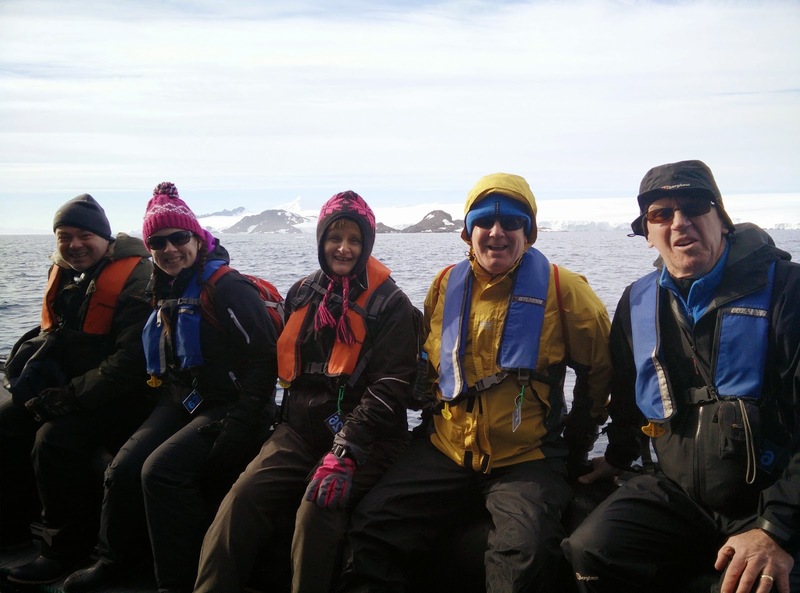 It's a very special moment for everyone…as usual Antarctica is delivering! 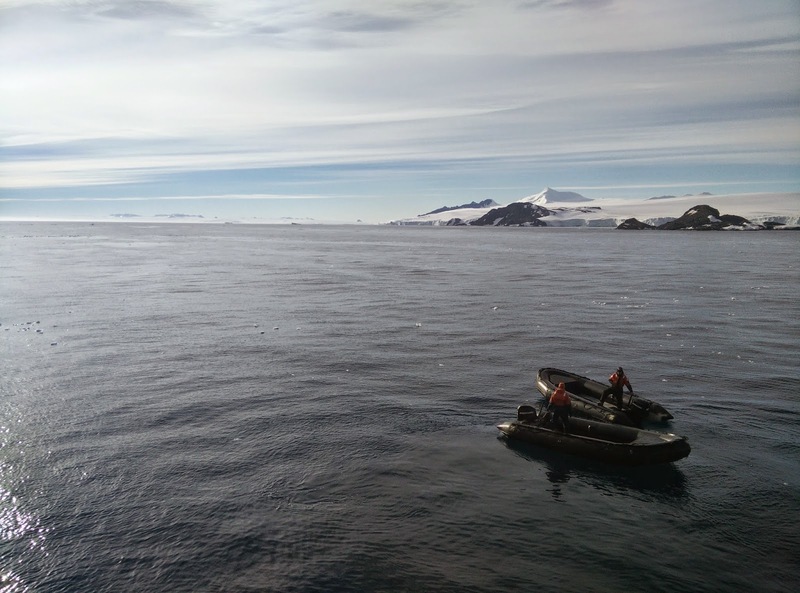 We relocate to our second landing location for the day, Brown Bluff, located in the Antarctic Sound. This is our first landing on the actual continent of Antarctica and for some it's their seventh continent so some boxes being ticked! The weather has changed from this morning and it's now snowing as we launch the zodiacs and head towards Brown Bluff. 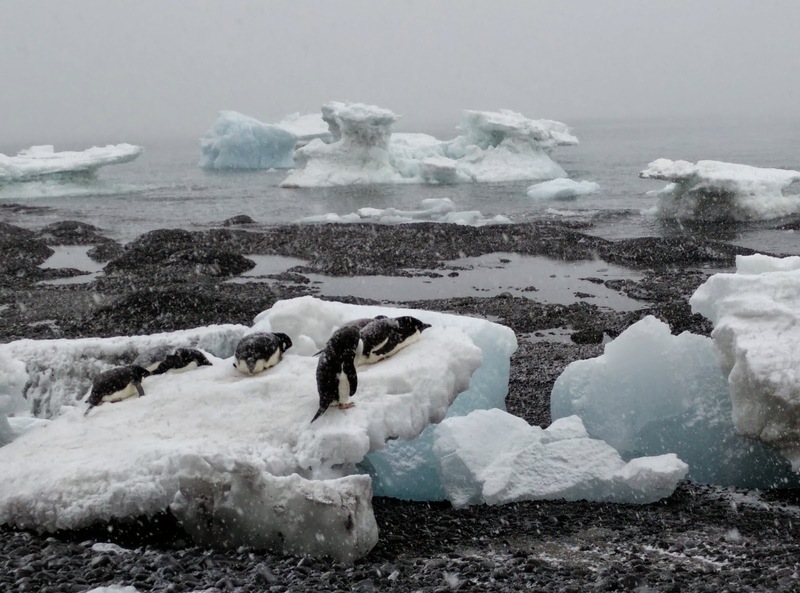 We get to experience another one of the many weathers of Antarctica…always beautiful though! Our zodiacs approach the beach, sliding up onto the shingle. At last! 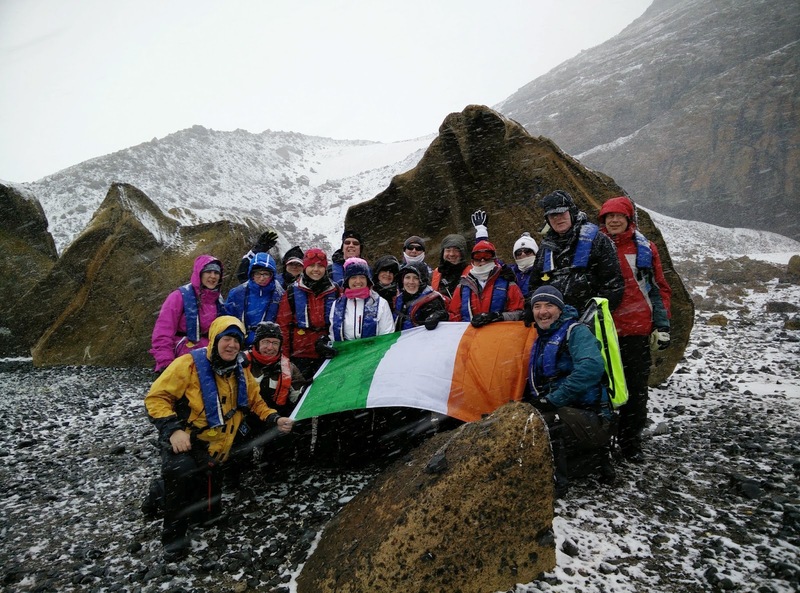 The Shackleton100 adventurers have finally landed on Antarctica! Walking this exposed beach, snow falling around us, grounded icebergs in the bay and towering mountains behind, you can't help your mind straying to Shackleton's story of Endurance. We are now at our closest position to the Weddell Sea, where on this day in 1915 Shackleton and the rest of his men aboard Endurance, were beset in the ice. One year later they would be living on the sea ice in a ramshackle camp they had ironically called "Patience Camp". Penguin fried in seal blubber was the staple diet for them back then, thankfully we're being better fed. We spend some time visiting the penguin rookeries and then back to the ship. It's been a great day and there is a buzz around the ship as everyone swaps stories of their experiences. We're collecting some great memories and plenty of photographs so get ready friends and family at home…you'll be seeing them all!